 I've set this page for those of you who just want to make brief psychic reviews for readers you know and recommend. So if you want to let people know what you think in a short sharp fashion it is best to use the comments section of this page below. For a page with it's own comments section we need fuller testimonials of about 400 words to make a page viable. Lisa is one of the true, compassionate and easy to listen to psychic/mediums. Her down to earth approach with her clients makes you feel comfortable and at ease. She has a way of delivering messages and information during both her mediumship readings as well as her Future Oriented readings that will help you to move forward in your own life. You can read more about her at www.medium2u.webs.com I thought she was wonderful to deal with and her fees for her sessions are very reasonable. She does not disappoint! I have had several readings from Stephanie, and every time she made me feel comfortable and at peace. Stephanie more than answered my questions and provided very positive life advice. I would not limit Stephanie to gifted medium, Stephanie is so much more than that. I dare say, Stephanie is a spiritual life coach in the most positive way. I would recommend Stephanie, without hesitation, to anyone. Stephanie is a gifted medium who makes you feel quite at home. There is like a vortex of sorts that I could feel between us. I felt like the room became large and I tingly even though we only held hands for a quick prayer. She was able to tell me about the dynamics of relationships and let me know without a doubt that my passed over loved ones are still around me. I recommend her to anyone who is interested and wants a very positive experience. Tanya (Inner Peace) is a great resource for spiritual guidance. She is able to share her psychic abilities in a positive way. She is honest and direct. She has a way of delivering her messages in an enlightening way - even that not so easy to digest information. Psychic Adena Bannick is not only accurate, she is very loving, kind, and real. She is a psychic who doesn't sugar coat things and she also is compassionate in her delivery. She is a psychic who keeps your highest good in mind and she also has her own radio show called 'Ask Adena' on BBS Radio. She was formerly on Contact Talk Radio and I must say she is definitely accurate. She is awesome with timeframes and very open with her clients.  She is an amazing psychic and although at times you may hear what you don't want to hear, she is accurate and willing to help you through it. Please check out her website www.askadena.com and her radio show on BBS Radio. Brilliant reading from this psychic. Put my mind at rest and helped me clear my energies. I highly recommend her. She gave me a hour of reading for half price as I wasn't able to afford any more due to exchange rate. Really caring and gives so much. I called the Alinda Celebrity Psychic Astrologer line its really caring and helpful. Alinda has worked with many famous people. She takes calls from all over the world,the reading was great! Everything Marie Coco said was true. She even gave me a date on when my ex boyfriend would contact me again. I marked that date down, and sure enough I received a sad text message from him. Everything she predicted came true. She is warm, friendly, funny, and a great psychic. Ann on Lifereader.com is also a scam artist. She tells you what you want to hear, but not what is true. When her predictions don't come to pass, she tells you it was because things change. Give it time, and she will be proven right. "I don't lie, I've been at this a long time and I'm almost never wrong." Well, you were and continue to be. AVOID SPENDING ANY MONEY ON THIS LIFEREADER. ALL THE PSYCHICS ARE FRAUDS. Worst ever! Don't waste your money.